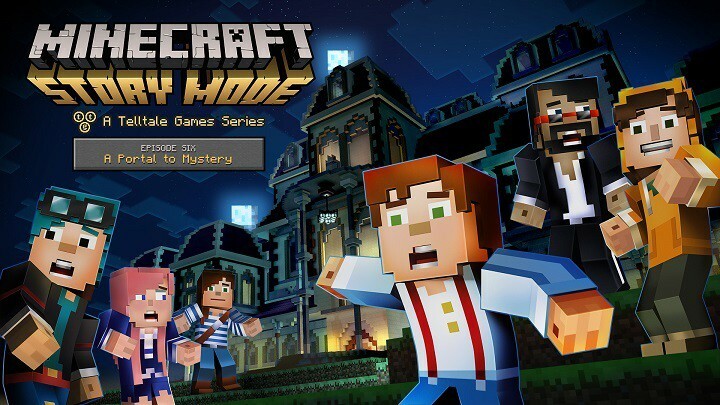 Minecraft: Story Mode Episode 6 "A Portal to Mystery"
The first free DLC for Minecraft: Story Mode titled Minecraft: Story Mode Episode 6 – ‘A Portal to Mystery,’ is available now for download via the Windows Store. The episode can be purchased for $14.99, a purchase that comes with episodes 6, 7, and 8 when they are made available. Alternatively, players can purchase each episode for $4.99. However, if you’re a fan of the series, then it would make economic sense to go with the $14.99 option instead, yes? Episode 6 of Minecraft Story Mode wasn’t too long ago released for the Xbox One. While it didn’t achieve rave reviews, it doesn’t mean it’s not a good game. On the contrary, Microsoft seems to be on a roll with this franchise, managing to sell over 100 million copies of the title — though we are not certain if this includes the Story Mode. There is also a VR version of Minecraft in the works for the Oculus Rift. However, if you’re not into VR, chances are you might be up for the HoloLens version of the game instead. Download the game from the Windows Store right here and enjoy!